"Judy's abilty to create paintings fillled with natural grace and harmony can not really be duplicated. It is her original contribution to the regional art scene." 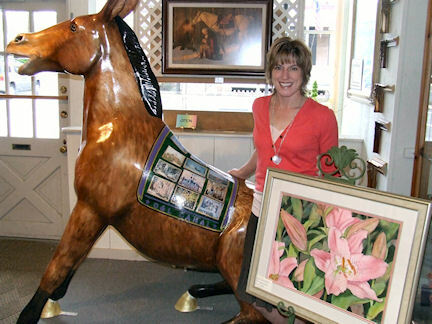 The artist was born and raised in Windber, Pa. For the last 20 years, Newtown Pa has been her home. ties to the community. Her work is displayed in public and private collections in Bucks County and Philadelpia. In 2010 Judy and her family moved to the Pittsburgh area. Judy returned to Newtown in the spring of 2014 and she is looking forward to painting the historic landmarks of Bucks County once again.